Few authors can claim to have a decade of production such as that of Day Keene in the 1940s. From his earliest appearances in Detective Tales and Dime Mystery, it was obvious to readers and editors alike that here was something special. For the next ten years, Day Keene seemingly monopolized Popular Publications with a novelette or short story appearing almost every month (usually as a lead featured). Keene created several series characters, including the well-known "Doc Egg" and always left readers clamoring for more. Amazingly enough, no comprehensive effort to collect his work has been attempted until now. 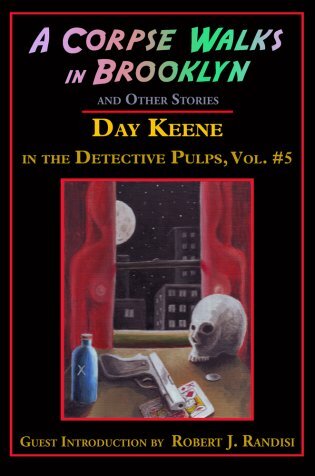 In a series that promises to run to over a dozen volumes, series editor John Pecan has compiled nearly two-hundred of Day Keene's mystery yarns in a series of books that are a must for an devotee of the mystery and detective genres. Each book will feature a guest introduction by a well-known figure in the mystery and pulp fictions field.